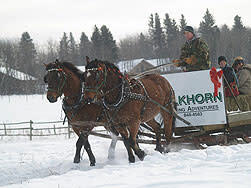 The facility is located on the Elkhorn Resort Property bordering Riding Mountain National Park. On site are many amenities including a spa, family golf course and restaurant. The facility is just minutes from the Wasagaming town site. The lakeside town has many shops to browse, restaurants, a marina and much more for the family to enjoy. Offering small private rides into the park through the summer months. Rides leave from the corral and are available for a scenic 1.5 hour or 3 hour ride. To ensure our horses health and well being, we do smaller rides and limited schedule. This allows each horse and rider to connect on a more intimate level and creates an enjoyable experience for both horse and rider. As a full scale training facility we are devoted to the horse - and understanding his world. We pride ourselves in developing, confident, willing partners who go on to compete at the top levels in Manitoba. For groups that are interested in the mind/body/soul connection of working with horses - we offer the "horse experience" event. 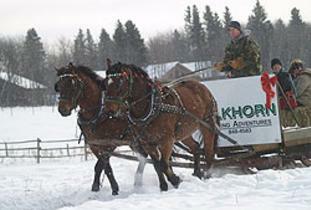 It is a program that allows anyone and everyone to step into the world of horses with our trainers. With no equipment, no riding ...you communicate with the horse with his language. A powerful event and can be tailored for kids, families or corporate groups. Energy is everthing and horses reflect it all back to us. A unique experience everytime.